“Your course was exactly what I have been looking for. It was well structured with a ton of good material. I like that fact that we were given tunes to learn but also tools that allows me expand the lessons beyond the course tunes to others that I already know.”—Todd M.
The Bluegrass Mandolin 101 program is pleased to offer three new courses for a variety of ability levels and interests! Bill Monroe Tunes for Mandolin, Crosspicking Mandolin and Appalachian Mandolin Tunes and Techniques will start up January 8. 9 and 10. Bill Monroe Tunes for Mandolin (Jan 8-March 10) will cover many of the well-known and lesser-known tunes by the greatest mandolin tune writer, Bill Monroe. Each week, students will be given two tunes relating to various aspects of technique, along with several exercises and suggestions for playing backup and creating variations on the tunes. The course is intended for players at an intemediate level, though advanced players as well as advanced beginners can benefit from the exploration of fundamentals to strengthen technique (plus learn some tunes they didn’t know before!). Register here. 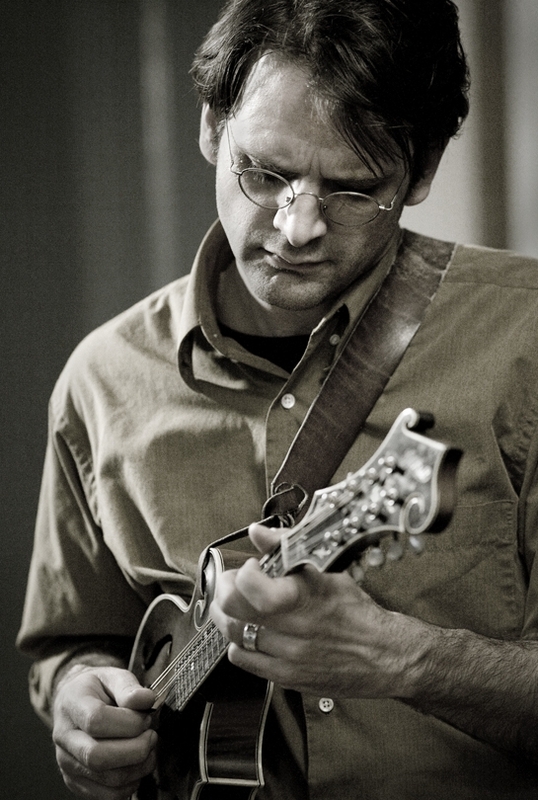 Crosspicking Mandolin (Jan 8-March 10) dives into the intricate, beautiful style pioneered by the great mandolinist Jesse McReynolds. Material will focus on various crosspicking patterns and double stops and positions in various keys to create unique and often intricate solos on bluegrass standard songs. It’s a great way to add some color and flair to your playing! This course is recommended for intermediate to advanced players. Register here. Appalachian Mandolin Tunes and Techniques (Jan 10-March 10) explores the deep groove of old-time fiddle tunes. Fundamentals will be emphasized, as students will get tips and exercises to help them improve their rhythm, picking and tone. The course is intended for students at a beginner to intermediate level. More advanced students may benefit from the tone exercises and focus on fundamentals (plus learn some great tunes!). Register here. 60-minute classes take place online every Monday (Monroe Tunes), Tuesday (Crosspicking) or Wednesday (Appalachian Tunes) evening from January 8, 9 or 10 to March 5, 6 or 7 at 9 pm eastern time, and 45-minute practice/review sessions take place every Saturday morning/afternoon from January 13 to March 10. The week of February 5 is off due to Matt’s touring schedule. NOTE: It is helpful, but not essential, to be present for the live sessions. All class sessions are recorded and available to view on the class website by the following day. All students will also have unlimited access to short recorded videos of all of the material played at a slow tempo, PDFs of all material in both standard notation and mandolin tablature, and mp3s of all of the tunes at slow and medium speeds that they can practice along with. Students can access all of this material at any time through the class website, and can also download all materials (videos and class session videos included) to keep them permanently. All class sessions and practice/review sessions are recorded and posted on the class website (usually by the following day) so that students who were unable to attend the live sessions may view them at their own convenience, and all students may review the class videos as often as they wish. Students will also be given a “Recommended Listening” list each week for the material covered. A variety of versions of each tune will be provided in the hopes that students will listen to recordings and further explore the wide world of recorded old-time and bluegrass music. HOW INTERACTIVE IS THE COURSE? During the live sessions, students can ask questions and/or play examples via their microphone (built-in or external plug-in), or they can ask questions via a built-in chat window. The instructor responds to all questions immediately (or between teaching exercises, etc.) on the spot. Students are also encouraged to submit mp3 recordings at any time during the course if they would like to, and the instructor will respond in an mp3 recording with constructive criticism. Students can submit these mp3s either privately via email or publicly via the class website, where all students can listen and respond if they choose to. Mp3 submissions are encouraged but not required, and there is no limit on how many mp3 submissions a student can send in. There is also a class website where registered students can find all class materials (videos, PDFs, mp3s) anytime. The site also has a Forum section, where students can ask questions, bring up topics for discussion, etc., in an open forum where the instructor and other students can respond. 1. A desktop or laptop Mac or PC computer, iPad or Internet-connected mobile device (such as iPhone) in order to view the sessions, plus a good internet connection. 2. An internal microphone and speakers on your laptop or desktop computer, or a phone to listen and speak (if desired) during the sessions. Instructions for participating by phone are included when you register for the course (long distance charges may apply). 3. During the course, you have the option of submitting recorded examples of your playing to the instructor (and to the group, if desired). In order to do this, you will need your computer’s built-in microphone or an external microphone plugged directly into your computer (via built-in ports or an external audio interface), in addition to basic audio recording software, such as Audacity or Garage Band, that will allow you to record yourself playing and save the recording in MP3 format. 4. A mandolin (actually maybe that should have been #1). The fee for the course is $225.